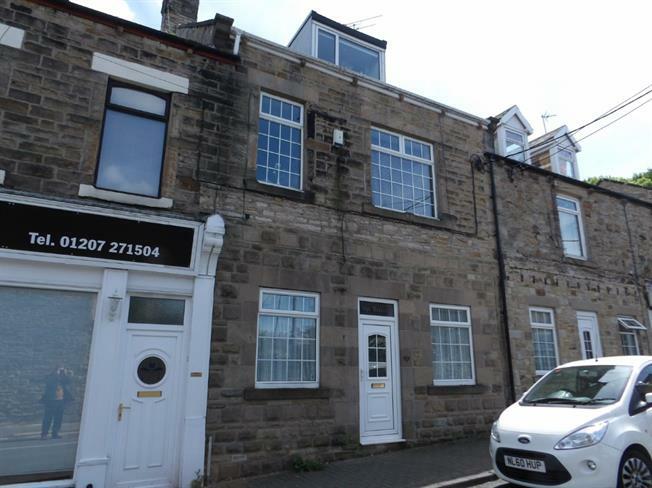 4 Bedroom Terraced House For Sale in Newcastle upon Tyne for Offers Over £190,000. Nestled just on the outskirts of Burnopfield this property is perfect for families looking for character and charm. Burnopfield primary school and Sacred Heart Catholic Primary school are merely a 5 minute walk away. Surrounded by woodland Gibside a national trust park is right on your door stop. You still have easy access to the A1 to take you to Newcastle city centre. An impressive and generous sized home you can simply bring your furniture and move straight in. To the ground floor there is a living room with an arch way leading onto the Kitchen/diner and w/c. The arch way creates an open plan feel with neutral tones and flowing light. To the first floor there is a master bedroom which offers its own dressing room and en suite. There is also a further double bedroom. To the upper floor there is a family bathroom and another two double bedrooms. Early viewings are essential to appreciate all this property has to offer. UPVC double glazed door. Double glazed uPVC window facing the front. UPVC French double glazed door.